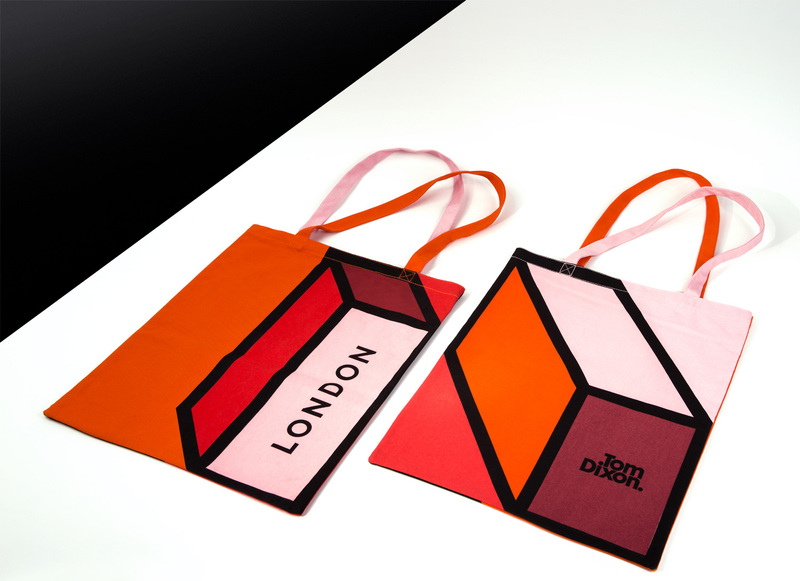 Made for established British product designer Tom Dixon, these striking tote bags are sold online and in stores internationally. Designed by the brand’s in-house team we manufactured two different sizes and formats using 16 oz natural canvas. 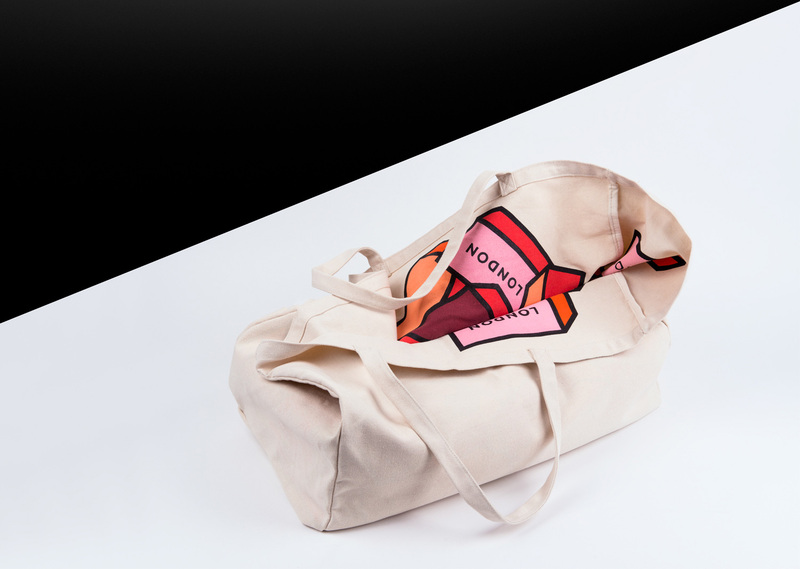 One kind incorporated four colour screen print on the inside of the bag and utilised the inner craft and detail of manufacturing as a key aspect of the design, the other was screen printed on the outside and used contrasting coloured handles on each side of the bag. 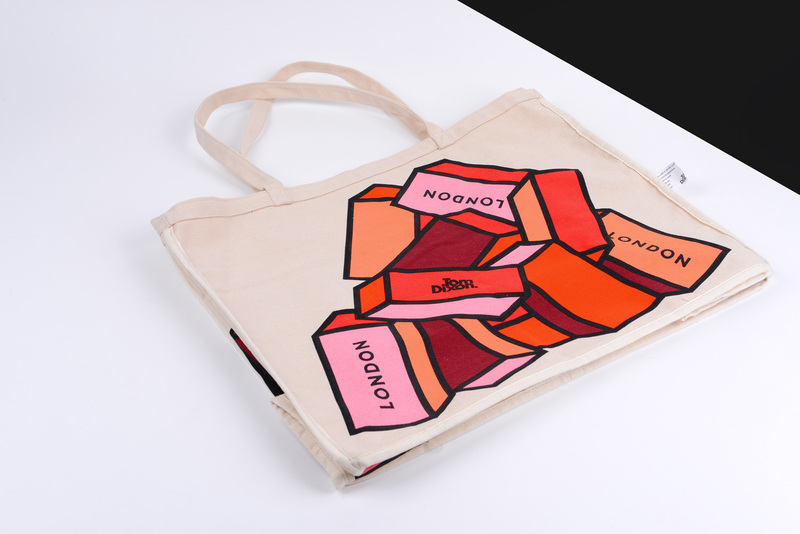 Before being shipped, each tote was hand wrapped and packed in a biodegradable clear bag with a header card attached, making them ready for sale upon on arrival. We manufactured 2,000 of each version and delivered direct to stores in the UK, USA and Hong Kong.